Pharmaceutical companies rely on Syed's research and analysis to help them bring generic drugs quickly to consumers. Syed assists the firm in all phases of patent litigation and patent prosecution, primarily focusing on companies filing an Abbreviated New Drug Application (ANDA). Using his research experience in biochemistry, organic and inorganic synthesis, and analytical chemistry, he analyzes ANDA applications, comparing them to existing patents on branded drugs. He assists attorneys in advising clients on whether to proceed and alerts them to potential areas of concern before a Paragraph IV certification filing. Syed also assists with the Paragraph IV filing for a generic version of a branded drug, then dives into researching issues when a client faces a challenge over its application. He has been involved in analyzing patents and conducting technical research on over 40 pharmaceutical products and his experience is invaluable in ANDA cases. His research often leads to a victory or settlement, resulting in getting generic drugs to market faster and saving litigation costs for clients. If a patent challenge results in litigation, Syed assists in discovery, works with expert witnesses in testimony preparation and attends court proceedings, conferring with our litigation attorneys to offer further insight and inform their questioning and arguments. 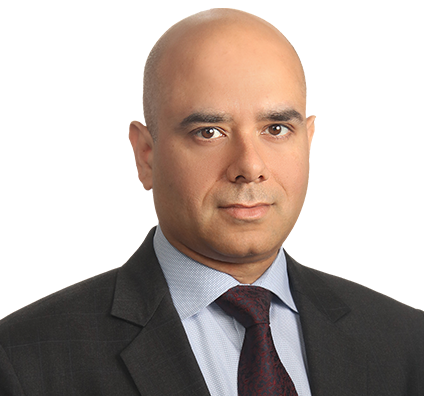 Syed also researches and advises on patent litigation and prosecution cases involving polymers, medical devices and animal drugs. Syed spends much of his free time with his wife and young daughter. He’s also passionate about badminton and photography.